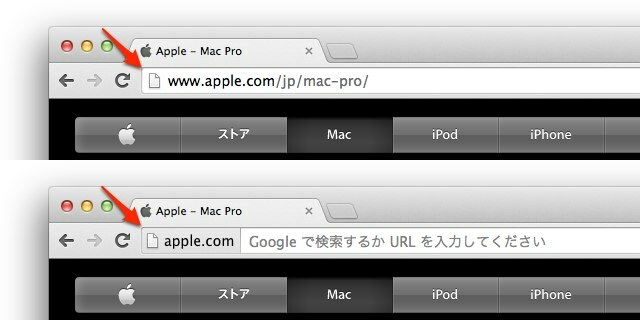 次世代Google ChromeはiOS 7のMobile SafariやSleipnirの様にURLが省略されるかもしれない？ | AAPL Ch. Six years ago, Chrome and Firefox enabled search in the location field. Where previously typing “ruby” would send you to ruby.com and dump you on the Kay Jewelers site, now it directs you to ruby-lang.org by way of a Google results page. Of course this benefits Google, but it’s also better for users. Usability 1, URLs 0.